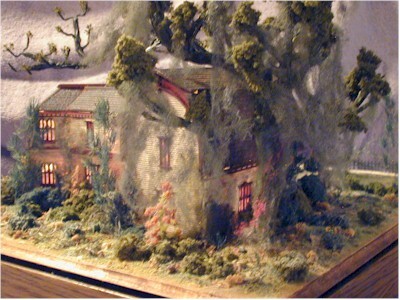 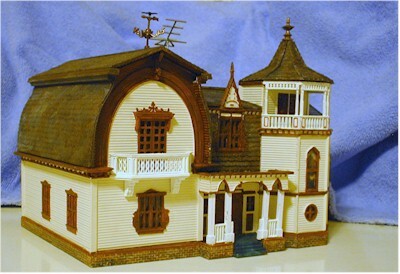 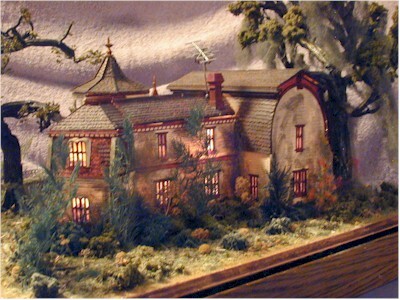 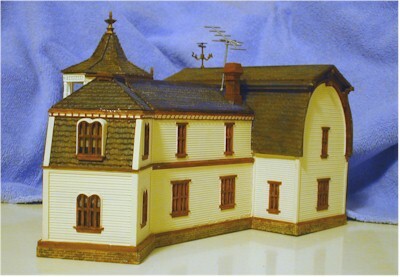 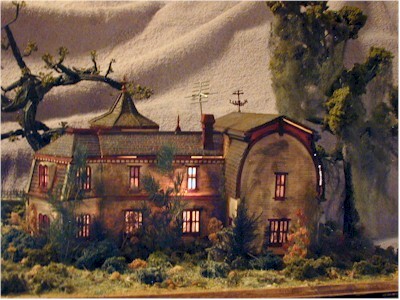 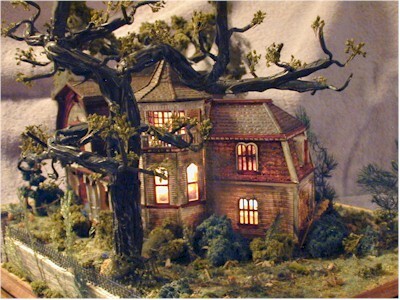 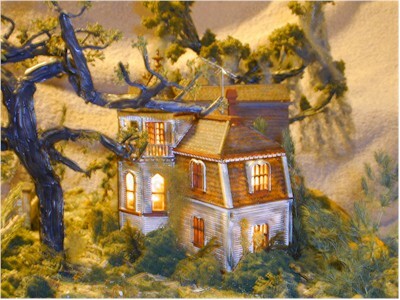 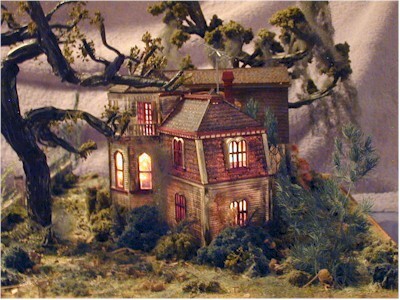 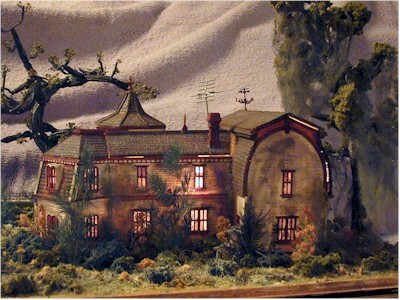 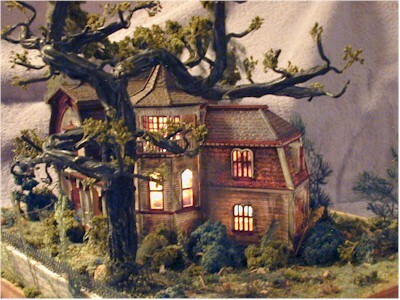 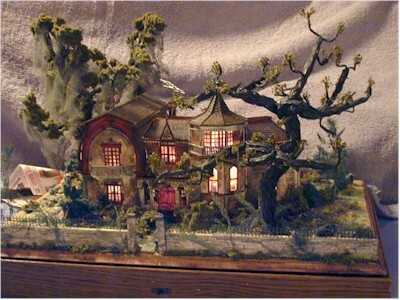 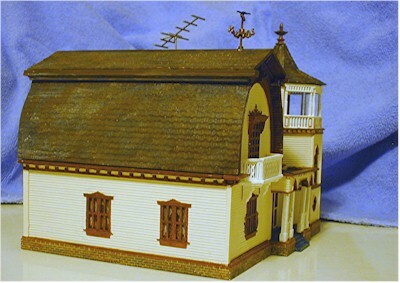 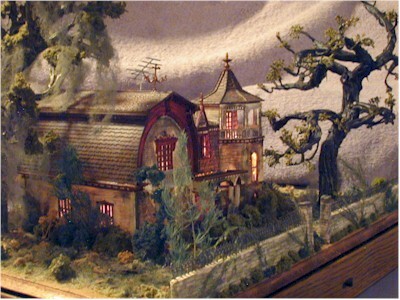 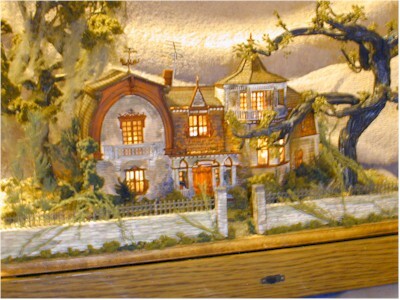 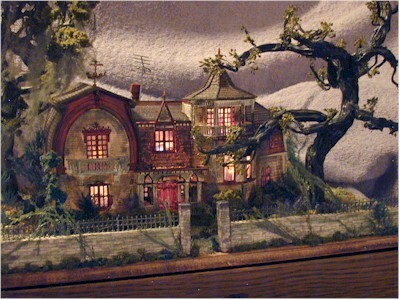 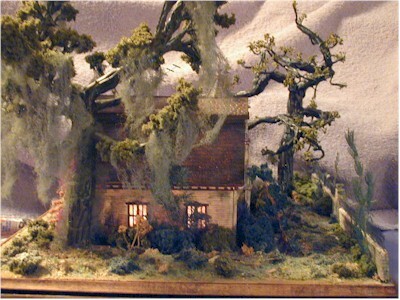 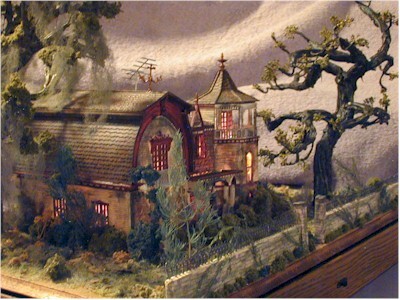 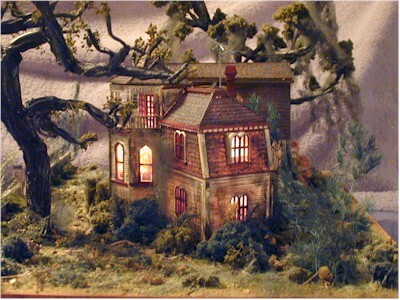 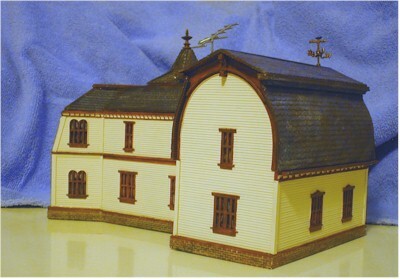 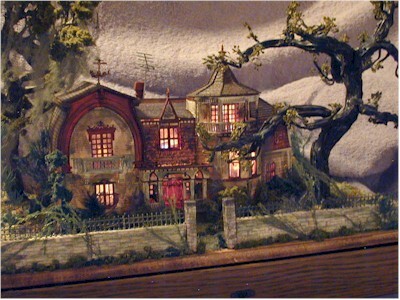 This Munster's House Model was created for Nancy Fay Roach of Port St. Lucie, FL. 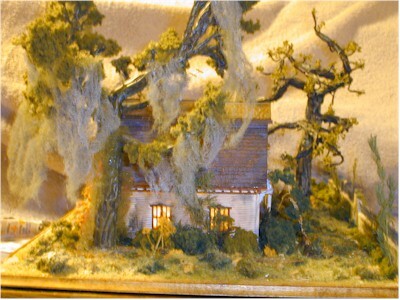 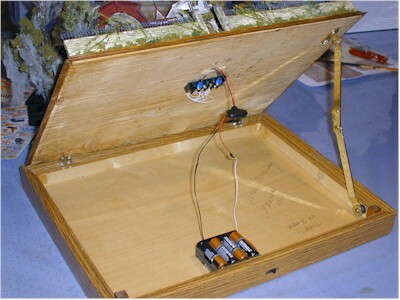 This is a model only, the interior is not made into rooms nor is it furnished. 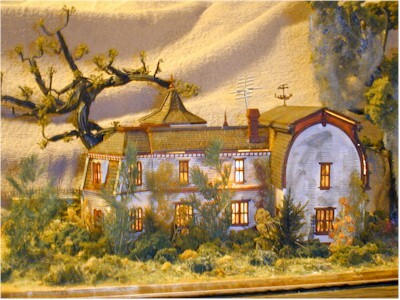 It will have a cover over it when completed. 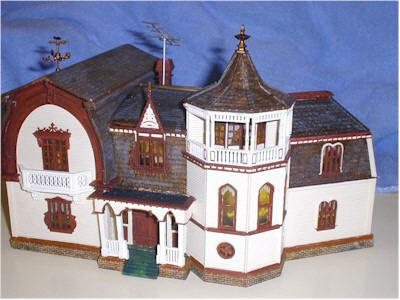 The first section is the house as a new house. 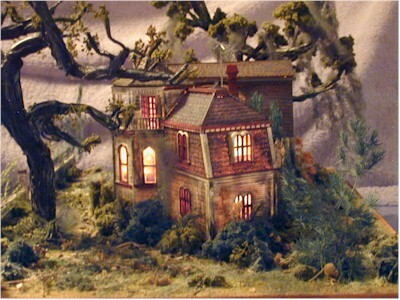 You have to make the house before you can bash it. 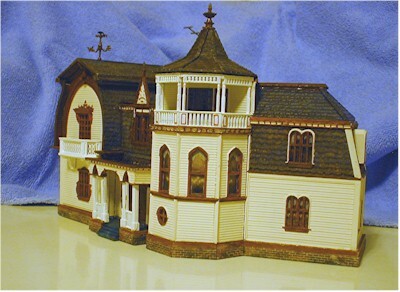 The color on all but the first photo is a bit off. 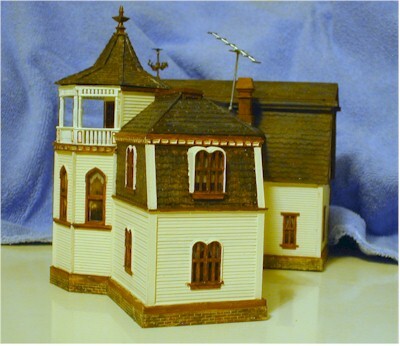 The house is sort of a cream, but it's whiter than the photos show it, like the first photo. 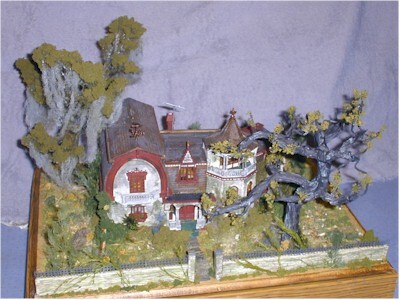 The final section is the "Spooky" Old Munster's Mansion. 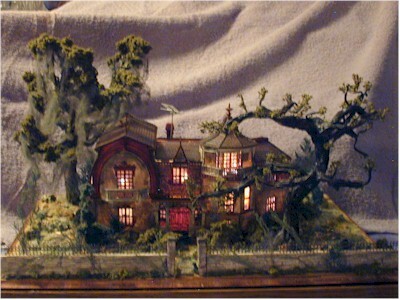 This house was rather difficult to photograph and get the Spooky fell for it. 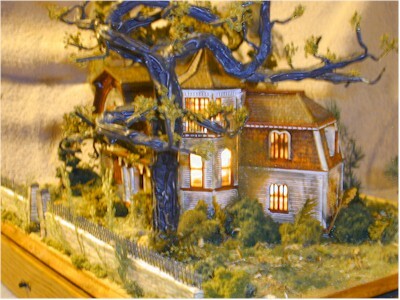 I tookover 100 photos to get these. 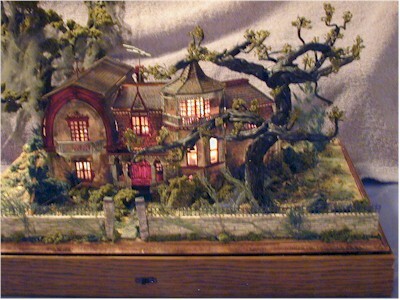 Hope I did it okay and that you enjoy.